Will California have the Wisdom to Elect Delaine Eastin? Yesterday, Delaine Eastin officially announced her candidacy for governor. In an era of short-term thinking, her candidacy is more important than ever. Why? Because as the first President Bush once said “Think about every problem, every challenge, we face. The solution to each starts with education.” And Delaine is the only candidate to see that the problems of today, which are real, can only be solved through long-term thinking, which focuses on education. I ran into two articles this morning about education from the Washington Post that on the surface seem very different, yet truly dovetail into each other. The first is the fact that education in the United States is not providing the skills to the population that will be needed for the 21st century, even though it is in vogue to say things are “21st Century Skills”. 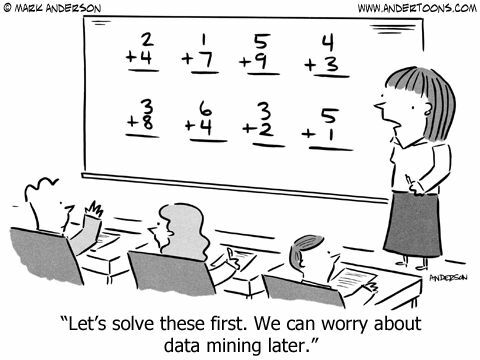 One only needs to look to the fact that Common Core requires teaching imaginary numbers but never mentions binary to see we have a problem. The other article was about how we screw up learning in school so often, and how instructional fads that are said to be absolutely true at the time, are often not. Along the same lines, it is worth considering what has happened when kids have just gotten to use a computer, and how much they learned on their own. 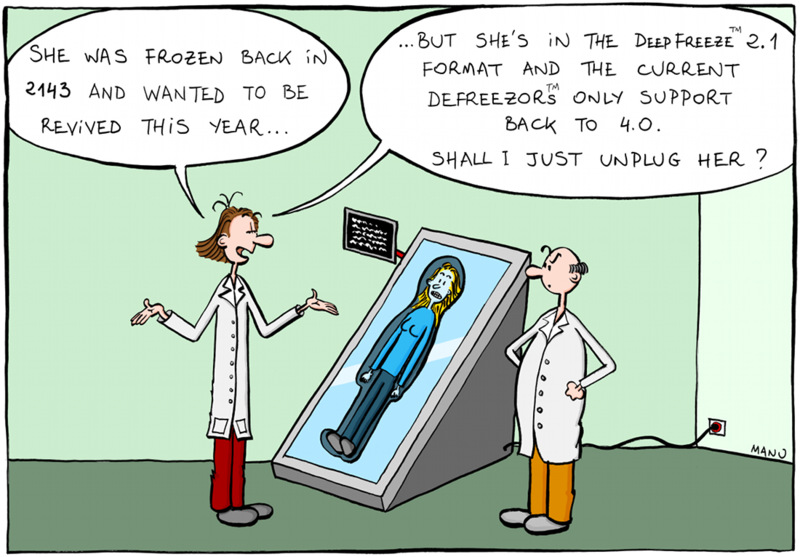 In technology, backward compatibility is a common issue. Some software companies like Microsoft have tried to keep most of what they created being backward compatible, so that files created in older versions will still work on newer versions. Even if this causes contortions to arise to be able to do new features, and makes the software less “elegant” and simple. But, software that isn’t sufficiently backward compatible can have some big problems with getting people to adopt it. For example, the Python programming language is still having troubles getting programmers to switch from version 2.x to 3.x. Even though there are relatively few changes between the two, they are profound enough to make it very difficult in switching. This same problem faces attempts at education reform. Udacity is Guaranteeing Graduates will Get Jobs, is there a catch? I wrote recently about my thoughts on whether MOOCs have been a failure. Udacity is showing that they are not, and is an example of where the potential of technology to “disrupt” a market is finally entering the realm of education. And it has now put its “money where its mouth is”, by doing something no college (that I know of) has done: guarantee its graduates a job. But what is the catch (if there is one)? With the hype about Powerball, I am reminded of a quote, that the lottery is a tax on those who can’t do math. 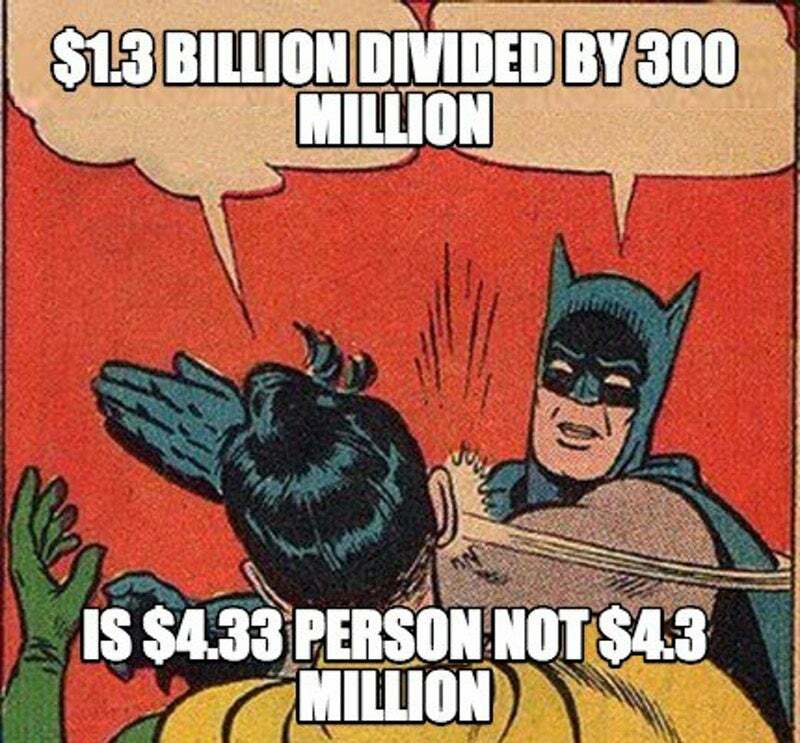 Further, the meme that is going around Facebook that if we divide the current Powerball pot by the population of the U.S. we all would get $4.3 million, also shows a lack of math ability. (Although the counter meme is grammatically wrong, and many posting the original meme are doing it as a ruse). What is worth looking at deeper is the lack of understanding of big numbers and probabilistic thinking in the U.S., which our education system has not yet solved. There is a paradox: Humanity’s most developed organizations and systems are based upon what is learned in our education systems; yet, the field of education lags behind nearly all others. One such area I have seen, is how feature-poor Student Information Systems (SIS) are. Despite such systems being case studies in many database books, most of these systems do not use any data science methods to improve operations. Specifically, I have usually not seen active security, predictive analytics, nor even resource optimization as features. Here is why these are important to have, and my invitation for SIS providers to come into the 21st century.